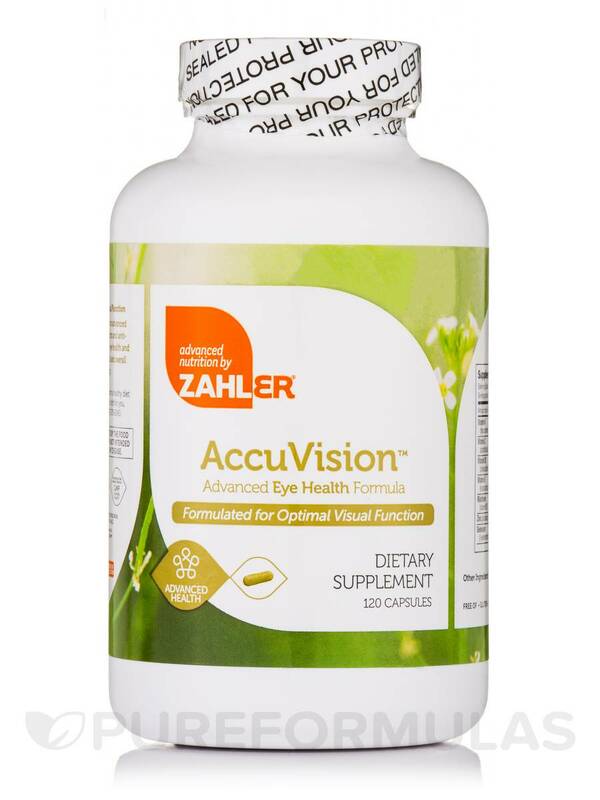 Zahler Accuvision contains an advanced formulation of targeted nutrients and antioxidants‚ designed to preserve eye health and boost the eyes macular‚ neural and overall optimal functioning. 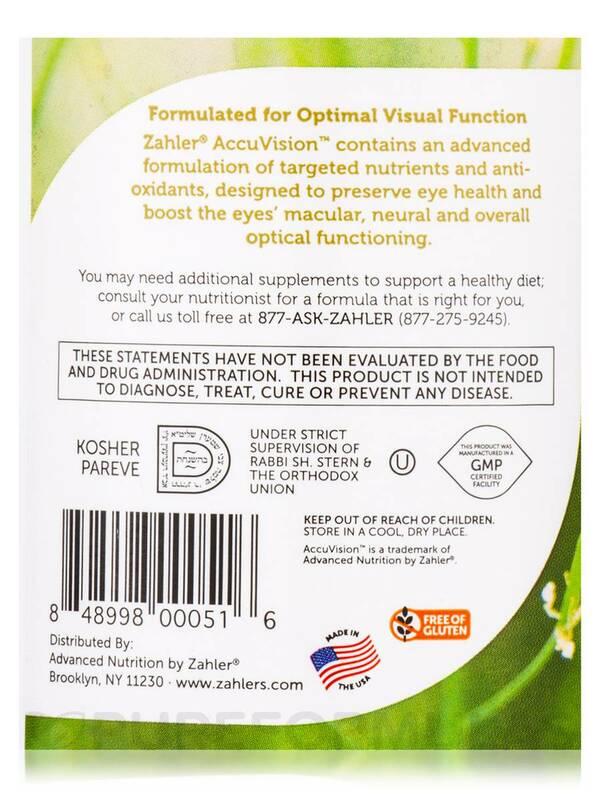 *These statements have not been evaluated by the food & drug administration. 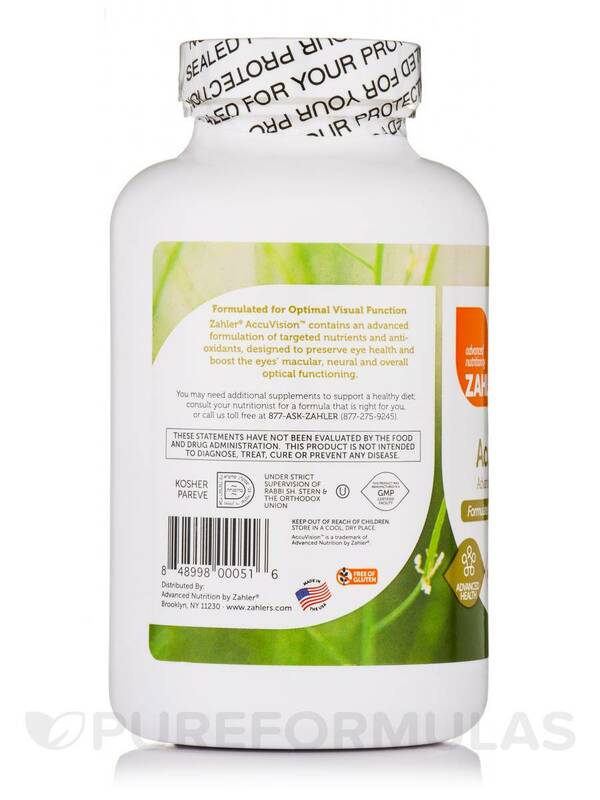 This product is not intended to diagnose‚ treat‚ cure‚ or prevent any disease. 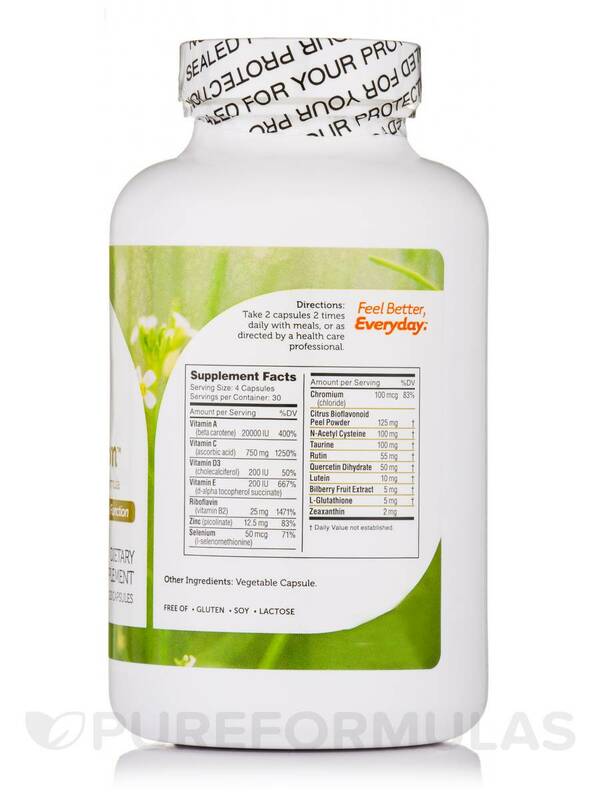 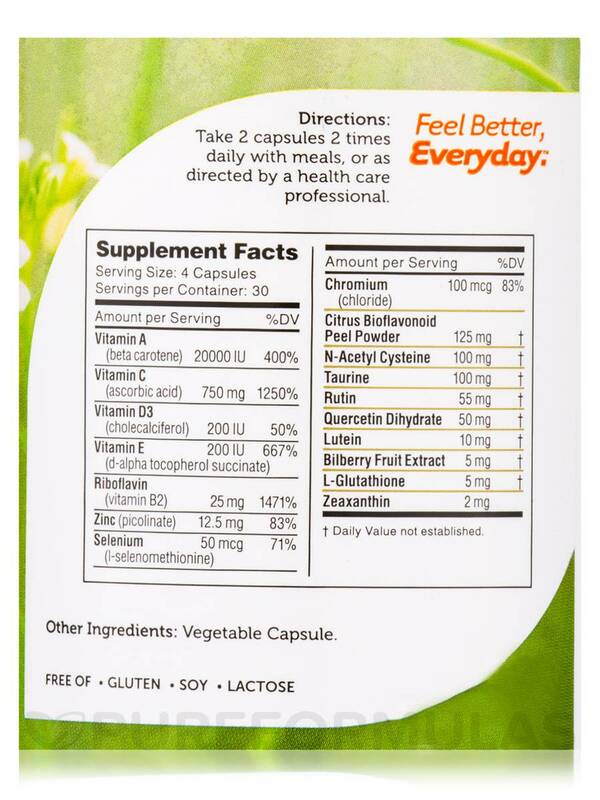 Take 2 capsules 2 times daily with meals‚ or as directed by a health care professional.